Amino AcidsScitec Mega Arginine - 140 kaps. Scitec Mega Arginine - 140 kaps. High-quality precursor of nitric oxide, causing greater and faster blood flow enhancing muscle pump, vascularization. It also increases the level of oxygen supply to the heart and other muscles. 89 loyalty points Your cart will total 89 points that can be converted into a voucher of 3,56 PLN. 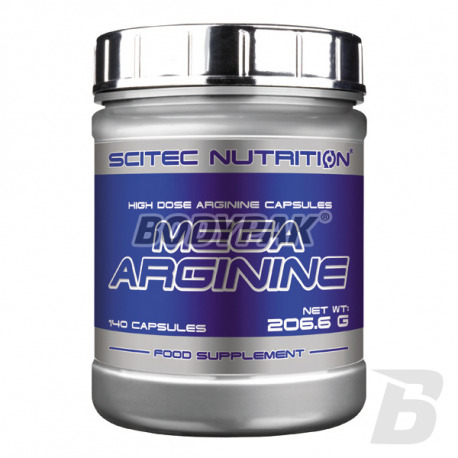 Scitec Mega Arginine - 120 kaps. 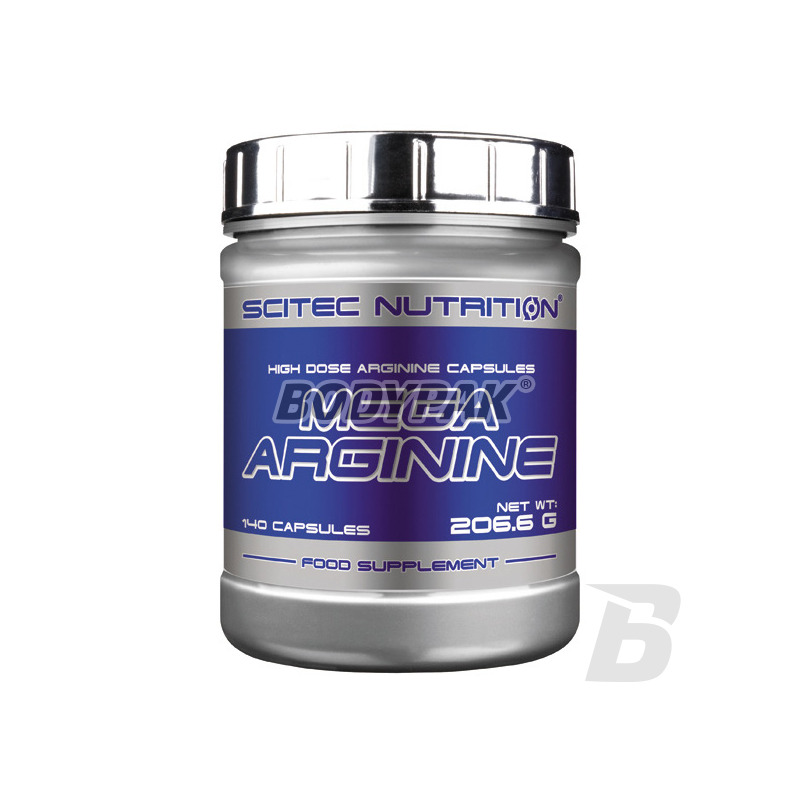 Scitec Mega Arginine - 90 kaps. UP 1300MG ARGININE IN 1 CAPSULES! Scitec Mega Arginine - a precursor of nitric oxide, causing greater and faster blood flow enhancing muscle pump, vascularization. It also increases the level of oxygen supply to the heart and other muscles. L-Arginine is an amino acid conditionally essential, meaning that under normal circumstances, the body is unable to synthesize sufficient amount to meet their needs. In the case of a poor diet or heavy exercise and the body is unable to produce sufficient amounts of arginine biosynthesis, therefore it must be supplied with the daily diet or supplementation. Because Arginine is a precursor of Nitric Oxide (NO) and an important precursor to Creatine is willingly used by athletes, particularly bodybuilders. Taking high doses of it in capsule form is the easiest way to cover the increased demand for arginine. Ingredients: L-arginine hydrochloride, gelatin, beef, anti-caking agent (magnesium stearate), pigments (titanium dioxide, black iron oxide, Brilliant Black BN). Dobra arginina, na prawde działa! Swanson AjiPure Branched-Chain Amino Acids - 90 kaps. Swanson AjiPure BCAA is a supplement designed for athletes and bodybuilders as a supplement accelerating regeneration after training. Original sports supplement contains the highest quality BCAA branched chain amino acids (L-Leucine, L-isoleucine and L-valine) in an ideal ratio of 2: 1: 1.